​If you are looking for a very special gift for a loved one, why not purchase a Gift Voucher. These can be ordered in any denomination and used on any service that I offer from a bespoke Commission, an Art Workshop, an original painting or a print. ​Each Gift Voucher is designed to fit the order, so if you purchase one as a Gift, let me know so prices are removed. 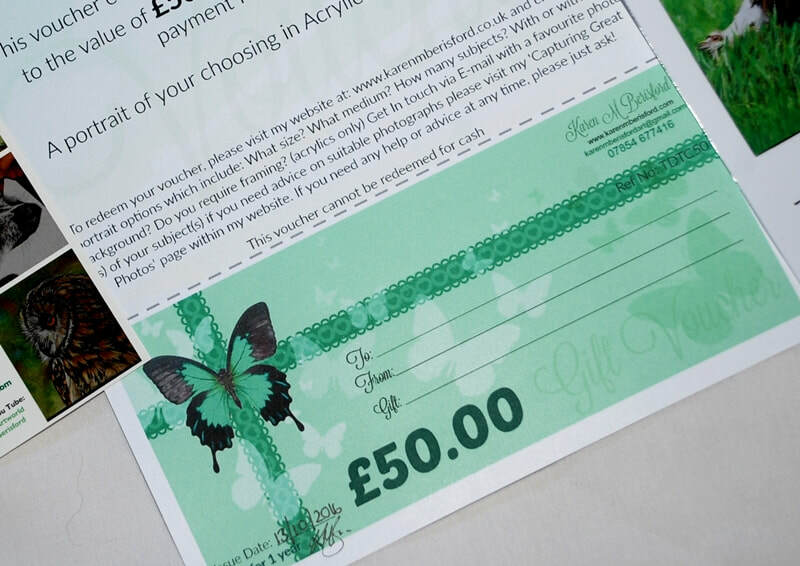 Each Voucher will be individually designed for every customer and is valid for a year from the issue date. Bespoke Art Commission Art Workshop Open use - for recipient to decide Website purchase - original Art, print etc.